January 13 is one of the most important holidays in Togo. This is Liberation Day. For a very long time Togo was a part of the “Slave Coast”. In the end of 1800s German declared Togoland its protectorate. French administration established in Togo after the end of World War I. 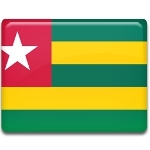 In 1960 Togo gained its independence from France and Sylvanus Olympio became its leader. Olympio's leadership lasted until January 13, 1963, when he was killed in a military coup under the direction of Etienne Eyadéma Gnassingbé. After the death of Sylvanus Olympio the “Insurrection Committee” appointed Nicolas Grunitzky as the President of Togo. But Eyadéma Gnassingbé also overthrew him (this time the coup was bloodless) and assumed his power on January 13, 1967. Gnassingbé became the Presidend of Togo and held this position for 38 years until his sudden death on February 5, 2005. Gnassingbé's son, Faure Gnassingbé, was immediately installed as the President of Togo, which provoked a widespread international condemnation. Some African leaders supported the move, thereby creating a rift within African Union.